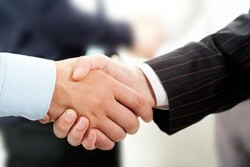 Consulting - Ray & Co. Business Services, Inc.
We offer a "common sense" approach to business and management consulting. We focus on straight answers and honest advice. We can tailor our services to meet your needs and fit your budget. We're proud to announce that Robert L. Stinson, a former bank loan officer with over 40 years of retail and commercial banking experience, has joined our team. Bob's business savvy and financial analysis expertise make him uniquely qualified to assist you with the financing, development and planning aspects of your business. A "business plan" is a formal statement of a set of goals, the reason(s) why they are believed to be attainable, and a plan outlining how to reach those goals. Business plans are most commonly thought of being associated with a loan application, but are in reality, a business planning and decision-making tool. For many, the thought of putting together a business plan may seem like a daunting task. You don't have to "go it alone" - we can help you! A 'business review" is a written analysis of the operational and financial strengths and weaknesses of a business operation. Business reviews are designed to help the business owner focus on certain areas to improve efficiency and increase net profit. A business review can help you discover exactly where to concentrate the efforts and energies needed to reach your short and long term goals. A "business valuation" is a process and set of procedures that is used to estimate the relative economic value of an owner's interest in a business. A business valuation is not an "appraisal" - it is an "opinion of value". Are you thinking about selling, gifting or estate planning? Let us help you determine what your business is really worth. In business, "break-even" is the point at which its costs are equal to its gross sales. The break-even point can help to determine the minimum amount of gross sales needed to at least "keep the business doors open". A break-even analysis can also help you identity your fixed costs, determine if you're charging enough for your products or services, and create realistic profit goals. "Cash flow" is the movement of money both in and out of a business or project over a given period of time. Understanding cash flow is an essential part of business planning. Is your cash flow stressing you out? Let us help you re-gain control - and peace of mind! A "compliance review" is an examination of a company's adherance to various federal, state and local government laws and regulations. A compliance review can help you avoid the potential of unforeseen, costly govenment fines and penalties. "What you don't know can hurt you!" Federal and state audits are once again on the rise. Do you know if you're in compliance? Ignorance of the law is no excuse! Let us help you determine if you have any compliance issues that need to be addressed. A "loan application package" is a set of documents required by a lender in conjuction with a loan application request. The amount of loan application documents requested can vary greatly, depending upon the type of loan, and the lender involved. Many lending underwriters require detailed financial reports as part of the application process. We have the experience and expertise to help you put together a complete loan application package. The Small Business Administration helps small businesses obtain financing by offering a variety of guaranteed loan programs. Obtaining an SBA guaranteed loan typically requires some additional procedures and paperwork. We can guide you through the entire process and assist you with the various forms and procedures required to apply for an SBA guaranteed loan. There are a number of government loan programs available to assist small businesses. Finding these government loan programs isn't difficult - if - you know where to look. We can tell you what government financing programs are currently available, and whether or not you might qualify.